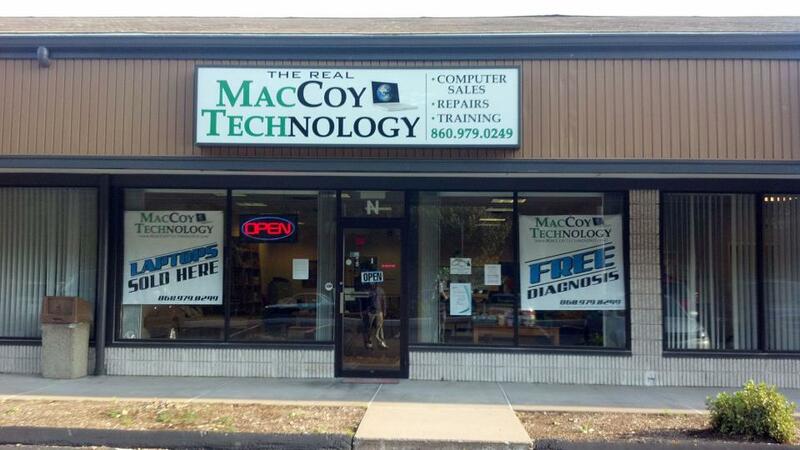 Owner Christopher MacCoy, started MacCoy Technology DBA October 1st 2009. The first location was 21 Bread and Milk St. Coventry CT 06238 (intersection of RT 31 & 44 above the Golf Factory). After a year at this location we realized it wasn’t large enough to take care of our customers, in addition it was not handicap accessible which posed an issue for many of my customers. We began looking for a new location in December of 2010. 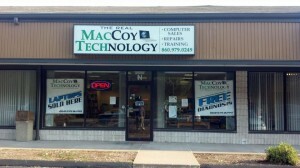 January of 2011 we changed the company to an LLC, and so began MacCoy Technology LLC. In addition we moved our location to 520 Hartford Tpke. Vernon CT 06066. We still retain nearly all of our Coventry customers, but this new location gave us much more visibility being on RT 30 in Vernon and being in a large plaza with a new restaurant opening up just a couple doors down which is now thriving. January of 2013 the business model changed, reducing the amount of retail business we were invested in. With this change the store was altered, from being 30% repair, and 70% retail, to the inverse. Now 30% retail and 70% repair business has begun to thrive more than ever. With the newer direction towards IT services as our main business, we’ve decided to reduce overhead and continue the business as on-site and pick up/drop off service. Store front lease on 520 Hartford Tpke. Vernon CT ended on 7/1/13. We’re considering opening a pickup/drop off location however it’s only a thought for now. Featured Image: Location at 520 Hartford Tpke. Suite N. Vernon CT 06066. No longer open.